Looking For a Chicken Parma in Melbourne CBD? Dine in and try our special Chicken parma. We serve our special Chicken parmigiana every Wednesday and Thursday for Lunch or Dinner. 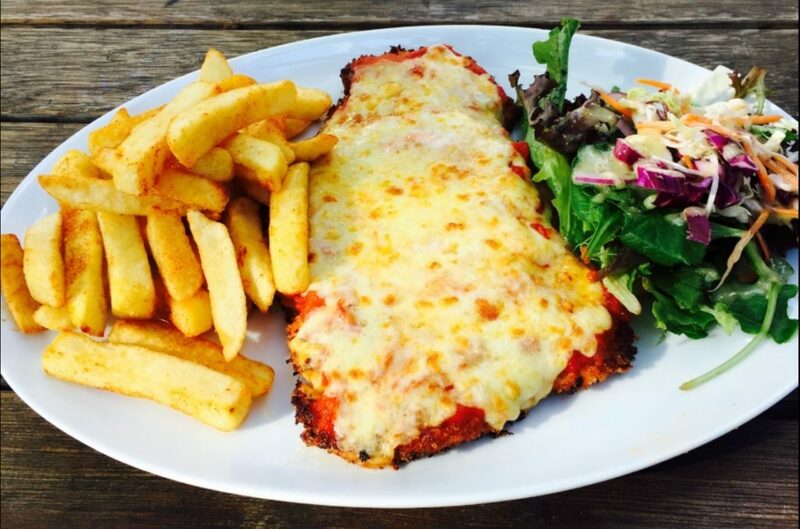 Come in anytime for a fresh, hand crumbed Chicken Parmigiana served with a side salad and chunky hot chips. Each Wednesday and Thursday for Lunch or Dinner you can get our famous chicken parmigiana with your choice of a pot of Carlton Draught, a glass of house wine or soft drink for only $15.90. It’s by far the freshest and tastiest special in the CBD.